Fast paced action and adventure accompanied with real photos, letters and maps make this an exciting read. 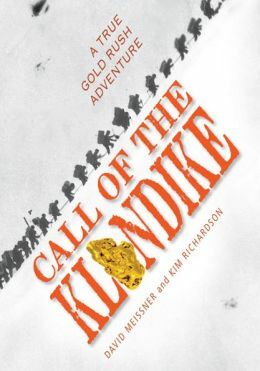 Sixth grade readers and beyond will be amazed at how quickly people dropped everything, gathered supplies and headed to the Klondike for a chance at finding gold. Readers will be shocked at how many people underestimated the difficulties that climate, geography and lack of supplies could cause. Wondering how people will survive and if they will get back home alive keeps the pacing of the story fast. This story illuminates just how desperate people were to get out of poverty. Or, was it the possibility of adventure that lured them out of the rut of boredom? This well researched book tells the story of two young men, Stanley Pearce and Marshall Bond who were college friends and business partners. Fortunately, they had parents who were willing and able to support their adventuresome dream of striking it rich. As soon as word reached California of the discovery in the Klondike, these young men booked passage and were among the very first explorers to reach the gold fields. An amazing sense of discipline helped these young men to determine even before they left home that they would only try this gold rush thing for one year. At the end of that time, they would return home. It was the deal they made with their fathers, but makes it more interesting to follow them through the months of struggle and small successes wondering if they really would pull up stakes and go back home. The families kept a bag of letters, photos and maps that were recently used to produce this excellent account of a short, but important time in American history. This book will be fulfill many standards in the core curriculum dealing with the economic history of America as well as the study of adventurers and the importance of gold to the world. Using research and learning how to writing non-fiction are among the multiple literacy skills that can be taught and/or enhanced through the usage of this book. It is a volume every librarian will want to have in the collection. Most people have experienced that feeling of being unwanted at the “popular kids” table in the school lunch room. But some people are faced with difficult episodes like that daily. One such girl, Kiara, is the main character in this excellent newly released middle grade contemporary novel. Kiara is afflicted with Asperger’s syndrome. She is confused by things she doesn’t understand, and turns to Mr. Internet for answers to all of her questions. The largest one being, how do people make friends? She tries everything, but just is not accepted by the other students. Her father cares for her deeply, but is no help to her because of his loneliness and sorrow over his wife’s decision to go to work for several months in a distant state. So when a new family moves in down the street Kiara decides to try her new friend-making techniques on Chad and his little brother. Things go pretty well as they play together and ride bikes around town until she learns the secret of what goes on in their home. It is a home she is not allowed to enter. Amid adventures, dangers and rescues Kiara learns that everyone has a special gift or talent that makes them unique. Through the eyes of her new found friends, she is finally able to see her own unique gift. This present day experience story is a fantastic read for a sixth grade student and beyond. They will find it full of issues they face every day. 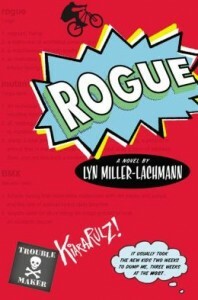 For the same reason, it would be a great read aloud in any literacy program by a teacher or librarian. It will strengthen all literacy skills while also introducing empathy and understanding for people with differing needs. A discussion about what to do when faced with illegal issues or worries about what friends might be experiencing at home could also grow out of reading this book in a book club situation.